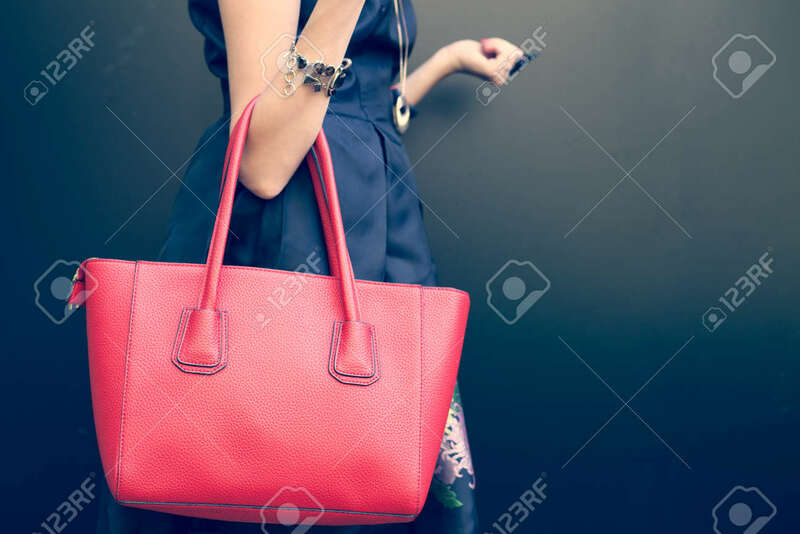 Fashionable Beautiful Big Red Handbag On The Arm Of The Girl In A Fashionable Black Dress, Posing Near The Wall On A Warm Summer Night. Warm Color Banco De Imagens Royalty Free, Ilustrações, Imagens E Banco De Imagens.. Image 46047456.